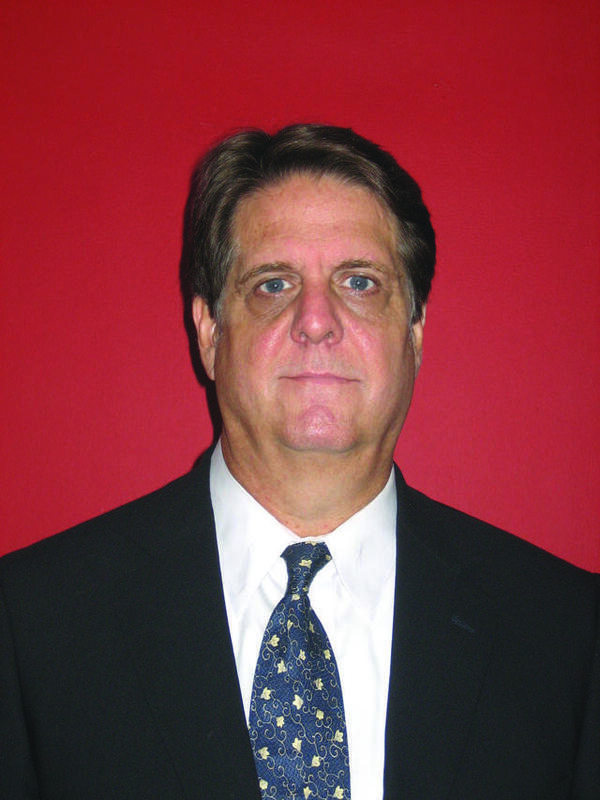 The helicopter emergency medical services (HEMS) sector may not have the profit potential for operators of the offshore energy business, but it is steady work. Consolidation, timely compensation, tepid growth, enhancing safety and finding enough pilots and aircraft maintenance technicians (AMTs) are the main challenges facing the helicopter emergency medical services (HEMS) sector. But before one tosses in the towel on air medical providers, consider the following statistic: EMS account for more than half of the helicopter market, which has a total value of $26.2 billion in 2016 dollars, according to the U.K.-based IBA Group, Ltd. Despite flat sales of new EMS-configured helicopters, the sector might be the one bright spot in a rotorcraft industry that remains reliant on the still moribund offshore oil and gas industry. “Solid demand for new rotorcraft from EMS operators helped soften somewhat the steep decline in the civil helicopter market experienced in the past few years and is now helping to kickstart the nascent recovery in the market,” said Ray Jaworowski, senior aerospace analyst at Forecast International. Sales of new equipment in the U.S. and elsewhere might be flat, but the list of preferred single and light-twin engine EMS helicopters remains the same. Those include the Airbus Helicopters H125, 130, 135 and 145; Bell 406, 407, 407BXP and 429; Leonardo AW169 and AW139; and the Sikorsky S-76D. Over the next several years, while the oil and gas sector slowly recovers, the HEMS segment from an OEM’s perspective will likely account “for at least 18 to 20% of the total demand for civil helicopters,” said Jaworowski. The global HEMS market is growing four to five percent per year, according to Lease Corporation International (LCI) and slightly less for the U.S. sector. 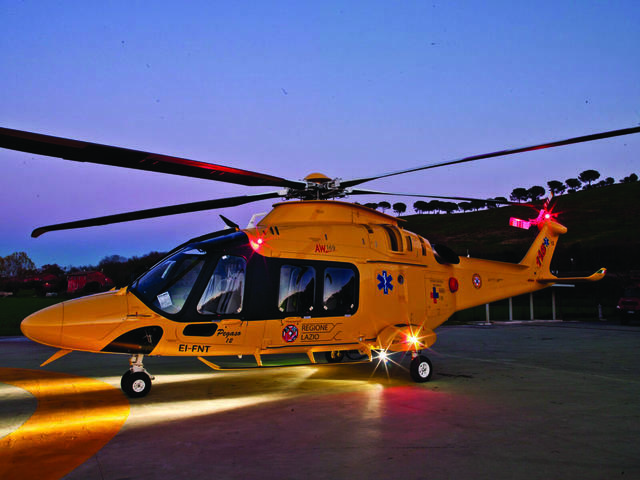 Forty percent of LCI’s fleet is dedicated to HEMS. Most of Europe has a stable and mature HEMS operation with stringent operating requirements driven by regional states. “The HEMS market is driven mainly now by the middle class, which have come to expect it,” said Crispin Maunder, executive chairman of LCI. While the U.S. remains the largest market for EMS-configured helicopters, demand for new equipment has leveled off as consolidation among EMS providers has resulted in few opportunities for sales of new helicopters. Yet consolidation provides stability and economies-of-scale benefits among U.S.-based EMS operators. Kerry Berg, FAA director of operations for Sioux Falls, South Dakota-based Sanford AirMed (part of Sanford Health), and chairman of the Air Medical Committee for Helicopter Association International (HAI), provided an interesting perspective on consolidation of air medical services providers. “I am hesitant to say it is not a good thing, but consolidation lends itself toward fewer players having a significant voice,” said Berg. That said, “having fewer players, which operate hundreds of aircraft, increases the industry’s ability to lobby or influence regulatory agencies or Congress. It’s a mixed bag,” said Berg. Seeing that air medical service operators are properly compensated remains at the top of the to-do list. Getting paid on time and for the accurate amount remains an ongoing challenge. HEMS operators today must weave through a convoluted maze of bureaucracy in the public and private sectors. Air medical service in the U.S. depends on a combination of revenue sources that include patient billing, commercial insurance, the nation’s health insurance program (Medicare), local and state tax revenue, hospital subsidies, corporate financing and philanthropy, according the Association of Air Medical Services’ (AAMS) website. State and local governments play a significant role in funding HEMS. Government funding can be direct via tax revenue and indirect via subsidies from public hospitals and entities. But help might be on the way. The Ensuring Access to Air Ambulance Services Act introduced recently into the U.S. House of Representatives, and a companion bill in the U.S. Senate, would benefit patients seeking EMS and provide operators a way to get compensated in a timely fashion. The Medicare reform-related legislation would require 100 percent reporting of cost data from industry across 15 categories of cost as well as 100 percent reporting of quality of care data. The legislation also will update the Medicare reimbursement process so that EMS providers don’t get shortchanged. AMGH provides air medical services worldwide. Its subsidiaries include Air Evac Lifeteam, Guardian Flight, Reach Air Medical Services, AirMed International and Lifeguard. AMGH’s fleet includes 420 fixed- and rotary-wing aircraft in the U.S., Alaska and Hawaii. What that means, said Sherlock, is that millions of Americans don’t live within a reasonable distance (by automobile) from a Level 1 or Level 2 trauma patient center. The patients must be transported farther and HEMS providers are filling the void left by those closed hospitals. Denver-based Air Methods Corporation’s recent partnership with insurance provider Anthem to bring consumers from Indiana, Kentucky, Missouri, Ohio and Wisconsin in-network is “another step in the right direction to preserve access to definitive health care, particularly in rural areas,” said Sherlock. Mike Allen, Air Methods COO tracked for R&WI the history of compensation for HEMS operations, which began expanding into rural America 15 years ago. This expansion helped spur the near doubling of air medical helicopters in the U.S.
At that time, around 45% of the patients transported had private insurance, according to Air Methods figures. About 23% were Medicare patients, with the balance coming from Medicaid (a joint federal and state program for people with limited means) and uninsured patients. As the Baby Boomers retired, and the cost of medical services climbed, the majority of those who were privately insured shifted over to Medicare, said Allen. Today, there are around 26 percent of the patients who are privately insured and nearly 40 percent on Medicare. Air Method’s air medical fleet consists of 400 aircraft, 30 fixed-wing aircraft and 370 helicopters that support 330 bases. An equally daunting long-term challenge for the HEMS industry is finding enough qualified pilots, aircraft maintenance technicians and air medical professionals, according to interviews with various HEMS operators. With the winding down of U.S. involvement in Middle East hostilities, U.S. military flight schools, a principal source of helicopter pilots, are not producing the numbers of pilots they were several years ago. “As the anticipated shortage of qualified pilots and mechanics reaches more and more segments of the rotory-wing market, employers are faced with providing a career that will be seen as rewarding for prospective applicants,” said HAI’s Berg. Breaking into the international HEMS market is tough for U.S.-based air medical companies. Laws in Western Europe and other developed nations are very restrictive toward foreign-based entities and typically require a local partner and upfront capital before the rotors start turning. In lesser-developed nations, the problem is a lack of infrastructure, available capital and sheer will of the countries to engage in HEMS partnerships. Some of these nations don’t even have dedicated helipads in urban or rural areas. “I think there will be a growing need for these partnerships, but the U.S. model cannot be supported in some of these nations,” said Allen. Take the case of AMGH’s attempted foray abroad. 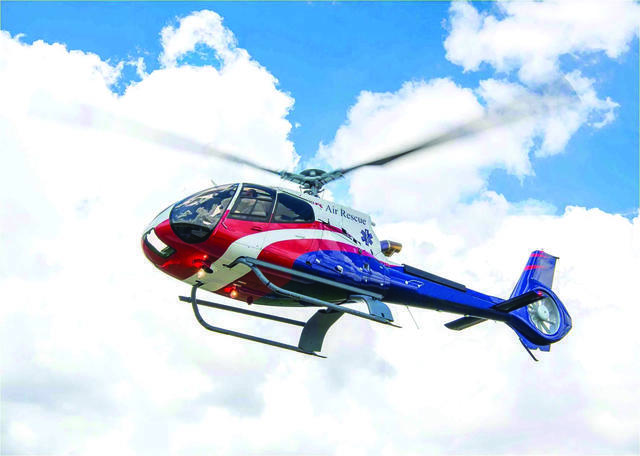 Two years ago, AMGH announced a partnership in India with Aviators Air Rescue, but pulled the plug and recalled two of its EMS-configured Airbus helicopters. “The need for air medical services is significant in India, but it all came down to what the reimbursement picture would be,” said Buttrell. Another factor: the U.S. EMS business model for HEMS has not yet caught on in India, he added. Buttrell said he expects HEMS international business to mirror somewhat the Canadian model where the government needs three or four aircraft to cover a municipality or sector. “A HEMS provider will then provide services on a fixed-rate reimbursement that is supported by tax dollars,” said Buttrell. For the most part, Europe — Italy in particular — has a fairly stable and mature HEMS operation. And there is noteworthy growth throughout the Asia-Pacific region, observed LCI’s Maunder. A continuing concern among the HEMS industry is the perception by the public, politicians and regulators — be it accurate or not — that this sector continues to have a poor safety record. High-profile crashes of EMS rotorcraft in recent years don’t help. In late April 2018, an Air Methods EMS-equipped helicopter crashed in Hazelhurst, Wisconsin. Three people on board died. Researchgate.net, a social networking site for scientists and researchers, using NTSB accident data from a dated study, commented online Aug. 1: “There were 182 helicopter EMS crashes during the 22.3-year study period; 39 percent were fatal. One hundred eighty-four occupants died: 45 percent of the 44 patients and 32 percent of the 513 crewmembers.” The study looked at EMS accidents between Jan. 1, 1983, and April 30, 2005. In recent years, safety in the EMS sector has improved, claims the industry. Recent accident data from the FAA, which follows HEMS fatal accidents and fatalities, and the NTSB, which follows all HEMS accidents, give an incomplete picture of the safety of the air medical sector. FAA data from 2013 to 2018 show an overall decline in fatal accidents, yet fatalities from fiscal year 2013 through fiscal year 2018 are up and down. HAI’s Air Medical Committee has for years worked with EMS operators and regulators to improve pilot situational awareness training and decision-making on whether a pilot should accept a flight. The committee has advised, and several EMS operators now require that a pilot must go through a flight risk analysis prior to accepting a flight. Components to be covered in the analysis include weather, fatigue, outside stressors, aircraft condition and whether another air medical provider has declined to accept the flight. The score of the analysis and discussions with flight operations control center help determine whether the pilot should accept the flight. As a further precaution, the patient’s condition is not given to the pilot to avoid coloring his or her decision on accepting or declining the flight. Some HEMS operators, such as Air Methods and AMGH’s air medical units now require the pilot to undergo a flight risk analysis before accepting or declining a flight. “Limiting the amount of information the pilot receives related to the patient’s condition is a safety precaution,” said HAI’s Berg. A number of EMS operators have installed safety-enhancing systems, including night-vision goggles (NVGs) to enhance their operations. AMGH has installed helicopter terrain awareness and warning systems (HTAWS) on all its helicopters and traffic collision avoidance systems (TCAS) on its fixed-wing aircraft, said Buttrell. The FAA requires HTAWS and ADS-B Out technology, while collision avoidance systems are not required for EMS-configured helicopters. Air Methods said it’s fully equipped with HTAWS and NVGs and is 100% compliant on GPS tracking and nearly at that level on XM weather. The company is moving toward full implementation of ADS-B In technology and flight operations quality assurance (FOQA) technology. The company will be ADS-B Out-compliant by January 2020 and will have ADS-B In capability for the whole fleet by the end of 2021. AAMS’ Sherlock claimed that 99 percent of EMS-configured helicopters today are equipped with NVGs. Within the U.S. EMS market, Honeywell worked with BendixKing to develop a package solution for its EGPWS Mark XXI that would be appropriate for single and light twin rotorcraft, added Angelo. Aviation Communication and Surveillance Systems, a joint venture company of L3 and Thales, said it had recently been selected by Airbus Helicopters to provide a TCAS 2 system for its latest H160 model and is in discussions about providing TCAS 1 system for its medium/light models including the H135 and H145 helicopters. At this juncture, it is unknown if that system would be available for EMS-configured H135s/H145s. Rockwell Collins’ TCAS II (TTR-4100) is being used as a safety device in some HEMS applications on AW169 and AW189 platforms. In another aircraft safety-enhancement development, Rockwell Collins is providing Coptersafety, a Finnish supplier of commercial rotary-wing training, with three integrated Level D helicopter visual systems to help train pilots for various missions, including civil HEMS and search and rescue (SAR). The visual system, which was initially developed for military rotary-wing applications, includes laser-illuminated projectors, NVG capability and a 240-degree-by-80-degree motion-compatible dome display. As with all market projections, questions remain regarding the growth of the HEMS sector and its overall role in the commercial helicopter business, especially in the face of a fluctuating oil and gas industry.